William has registered copyright of his ebooks with Copyright House. For those of you not familiar with the term, orthodontics is a specialized area of dentistry concerned with the realignment of improperly aligned teeth. 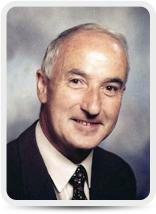 Dr William Clark specialized in orthodontics in the early 1960's after qualifying as a dentist and has practiced orthodontics for 50 years. Creativity, hard work, dedication and his development of innovative techniques in orthodontics and dentofacial orthopaedics have led to him becoming a leading figure in his field. In 1977 he invented Twin Blocks, a new functional technique to advance the mandible in treatment of patients with a weak or receding chin. In addition to improving facial appearance this has holistic benefits, by moving the tongue forward and increasing the airway. This concept can also be used in treatment of patients with sleep apnoea, who have difficulty breathing at night and suffer from tiredness during the day. In 1990 he presented the first teleconference in clinical dentistry in a live course in Chicago, transmitted by satellite to 25 cities in the USA and Canada. This launched his techniques and for the past 30 years he has travelled worldwide to deliver courses and lectures in over 40 countries. His informal presentation of complex material, combined with detailed illustrations and case reports, helps him to convey knowledge to participants on courses at different levels of experience. He has used this same approach in his 3 recently completed ebooks, 'Faces & Braces', 'Advances in Fixed Appliance Technique' and 'Advances in Functional Therapy & Dentofacial Orthopaedics'. 'Faces & Braces' illustrates the benefits of orthodontic treatment for patients and parents, showing how treatment can improve their appearance and give them a confident smile. 'Advances in Fixed Appliance Technique' and 'Advances in Functional Therapy & Dentofacial Orthopaedics' are designed to educate professionals and staff in dental and orthodontic practice. Dr Clark has been happily married for 52 years and although he would like to have more time to spend with his wife and family and to develop his other interests, such as playing the saxophone and clarinet, he is not ready to retire quite yet. He plans to continue to travel and give courses for as long as he is fit and able. Please visit Twinblocks for more information on e-books, courses and techniques.